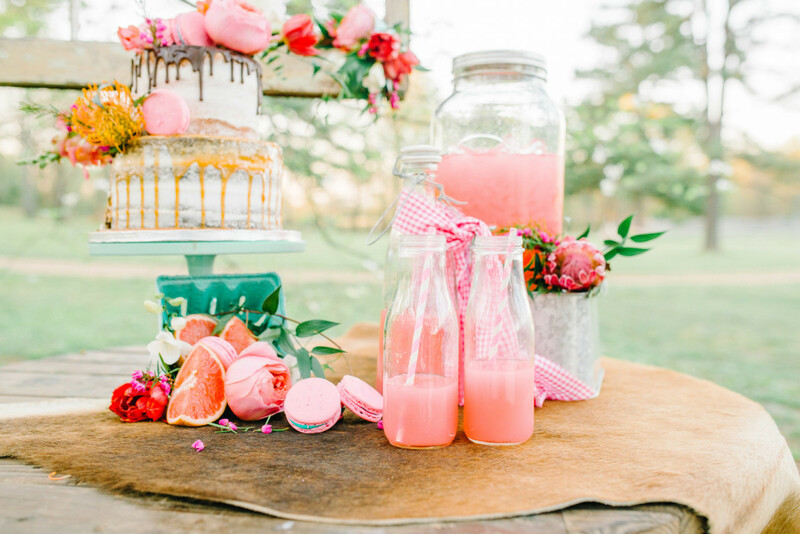 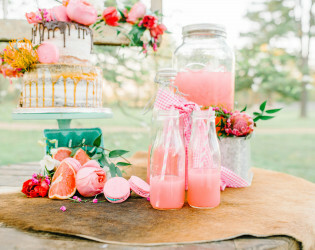 You can have your wedding cake and eat it too! 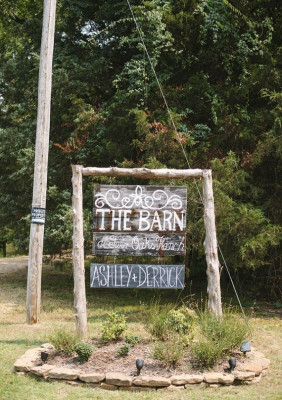 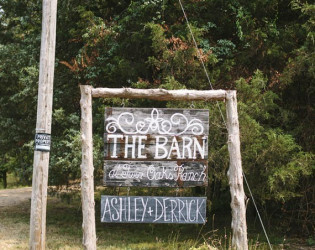 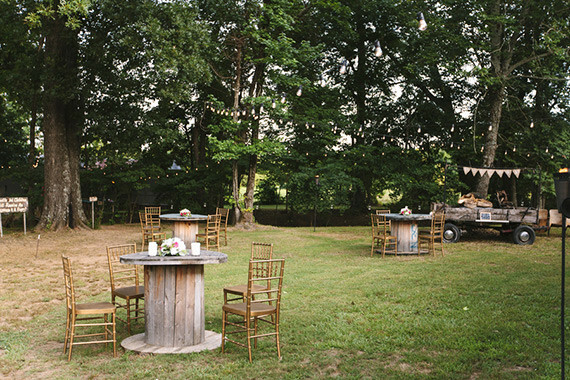 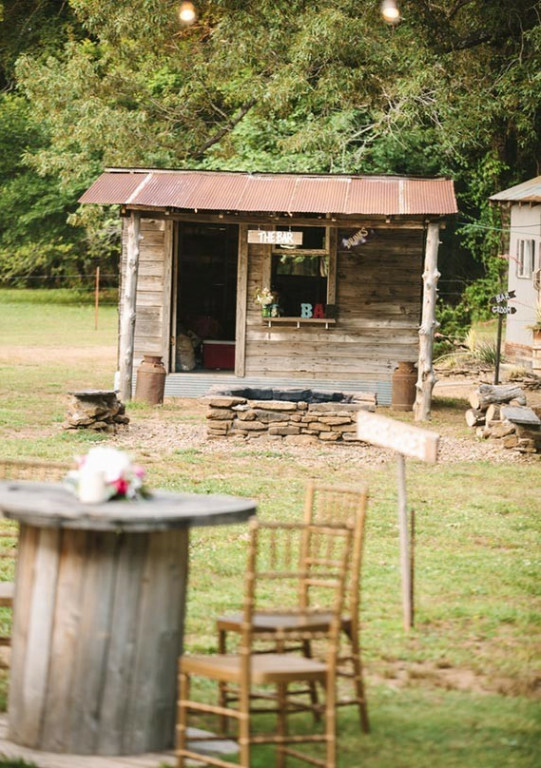 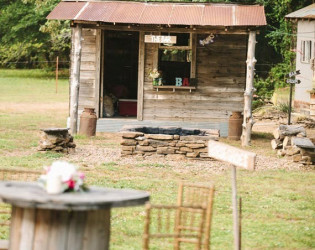 From bohemian barn bashes to rustic romantic revelries, have 35 acres of gorgeous land all to yourself just outside of Dardanelle, Arkansas. 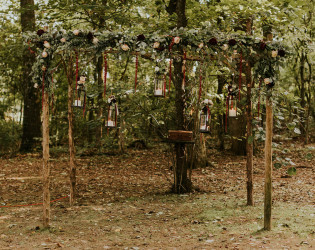 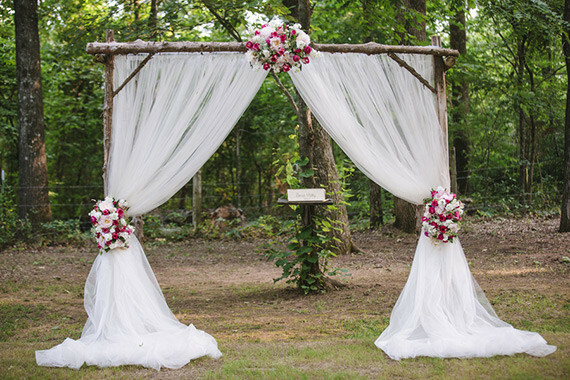 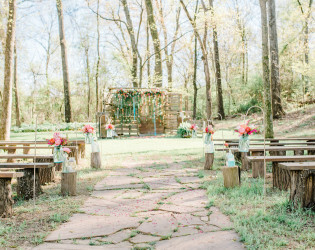 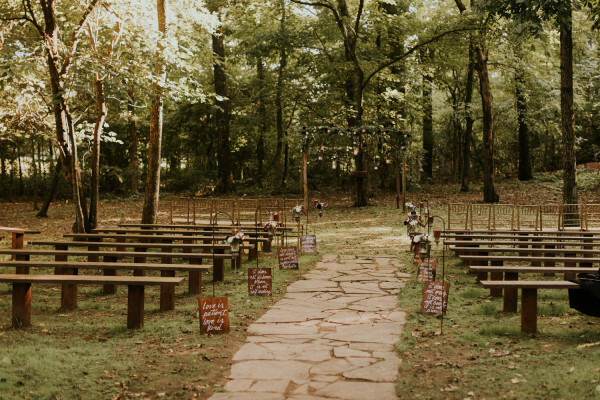 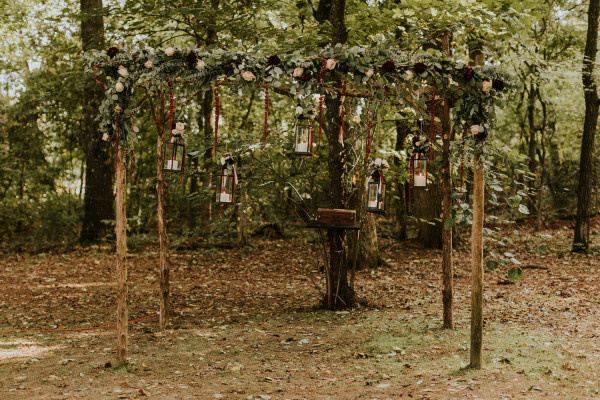 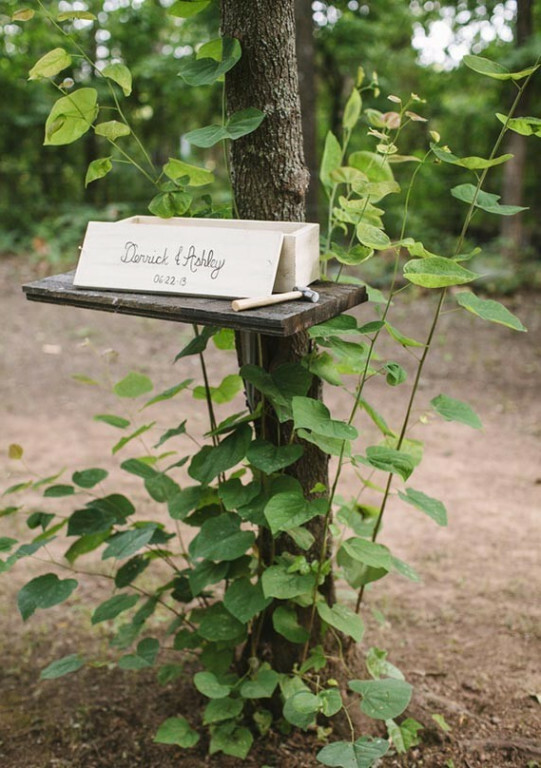 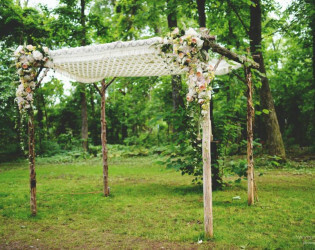 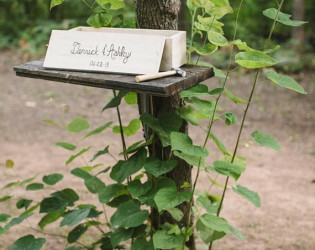 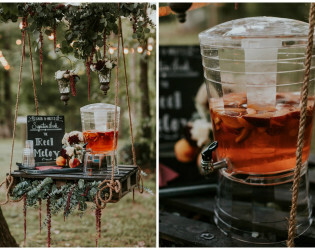 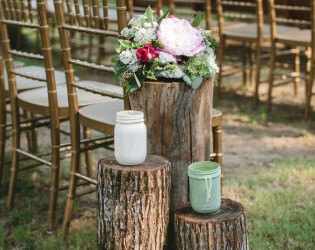 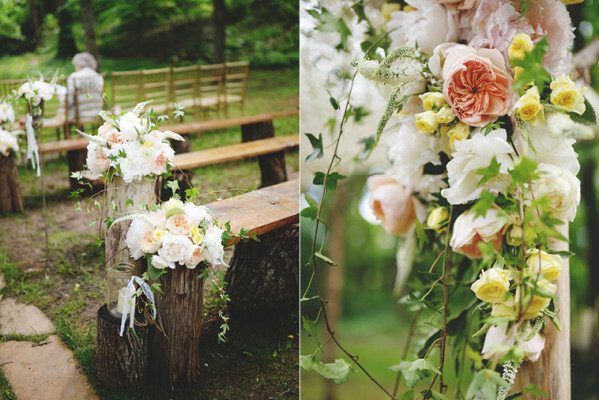 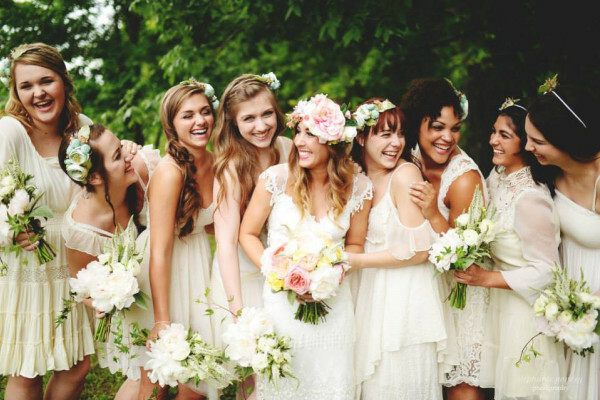 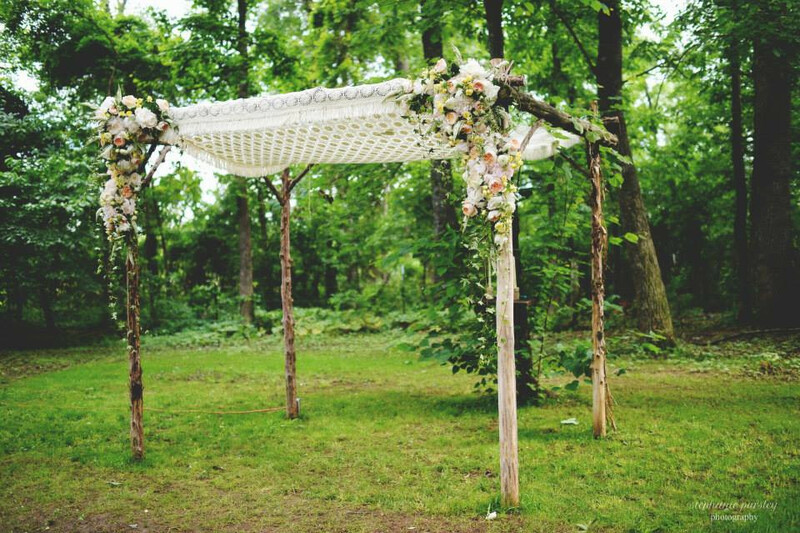 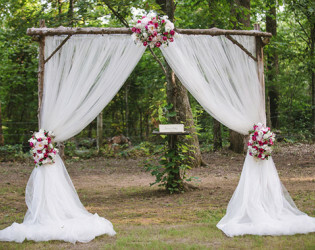 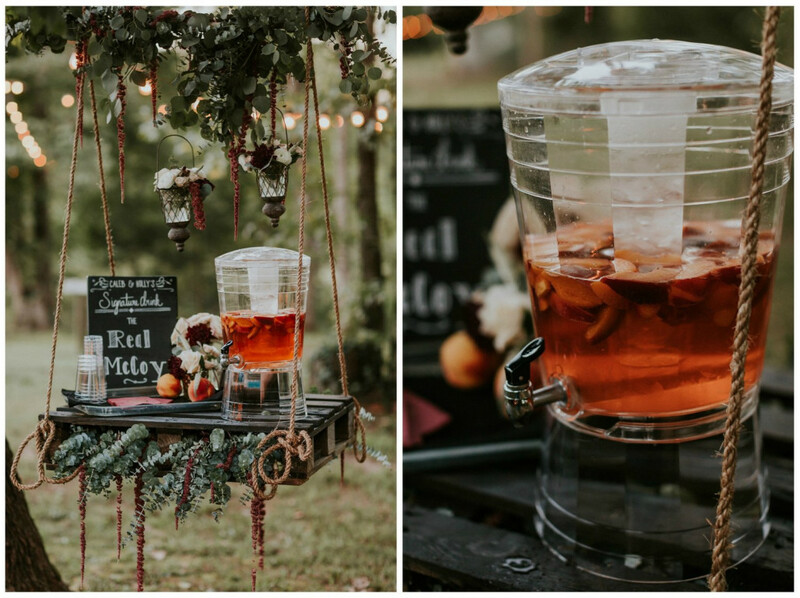 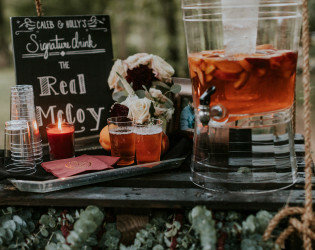 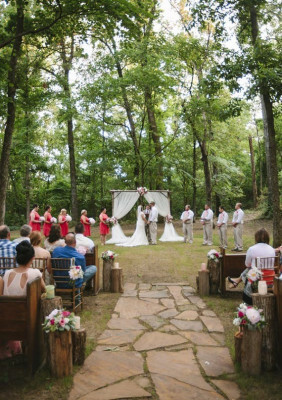 From outdoor log altars beneath a tree grove canopy to a forest of towering tall trees and a an inlaid rock aisle, you can host the whimsical woodland event of your dreams for up to 225 of your nearest. 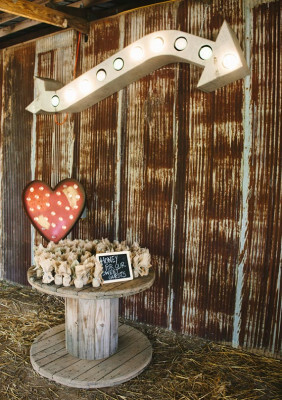 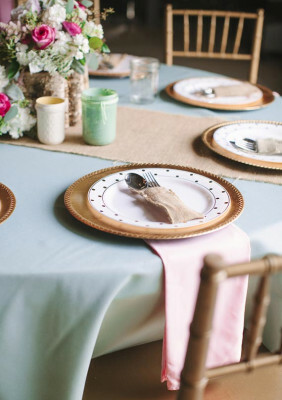 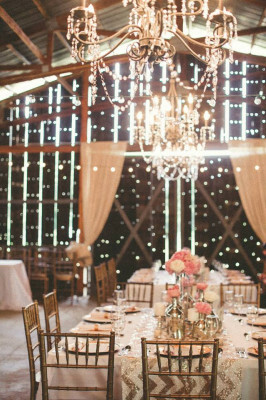 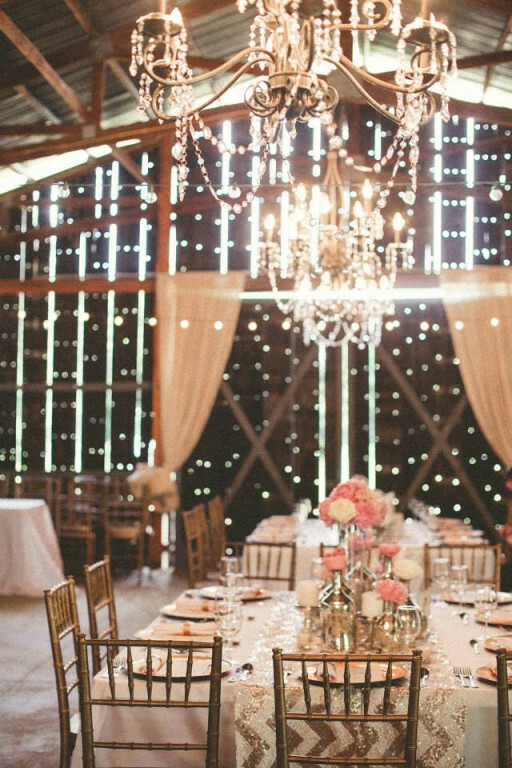 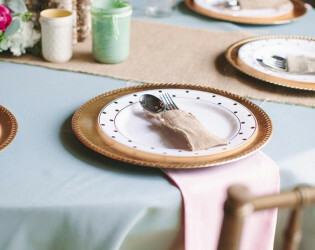 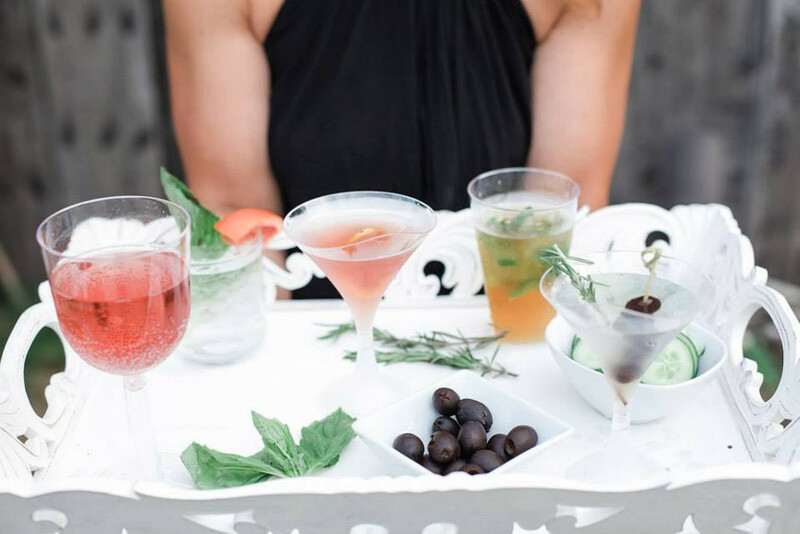 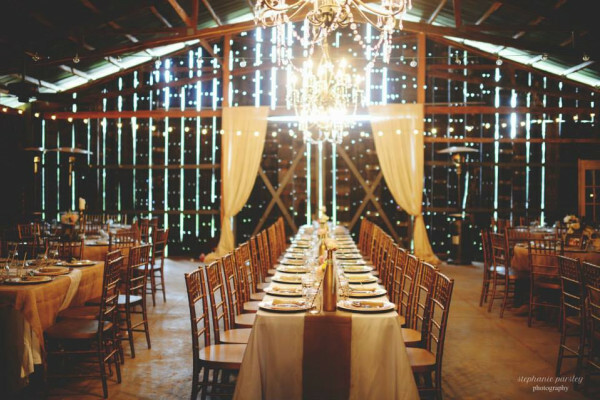 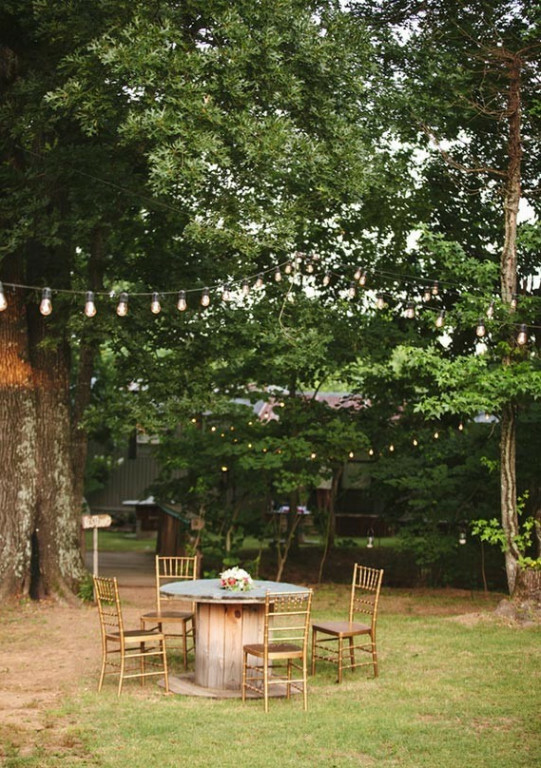 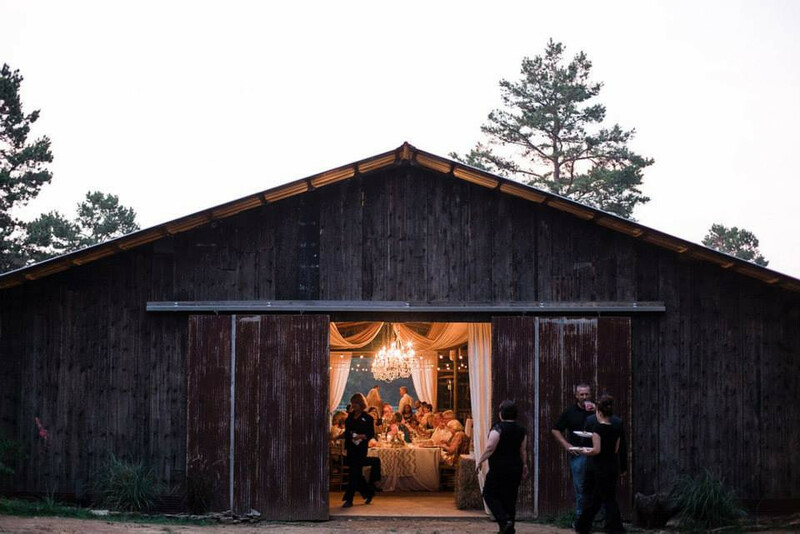 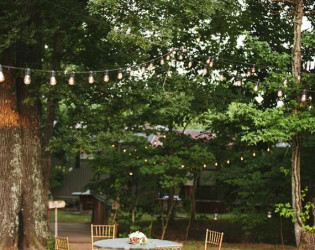 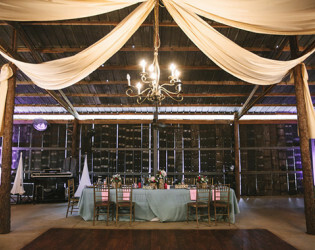 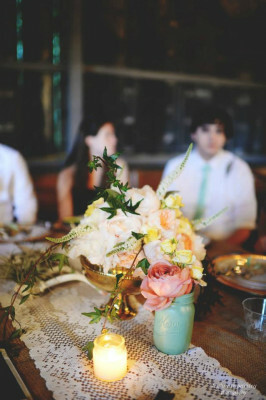 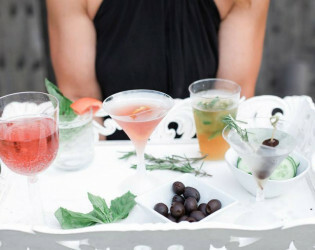 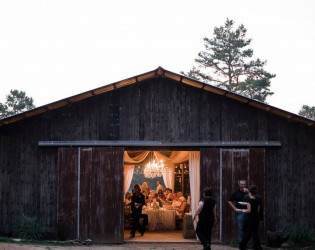 Host a rollicking good time in the barn and dinner party under the stars. 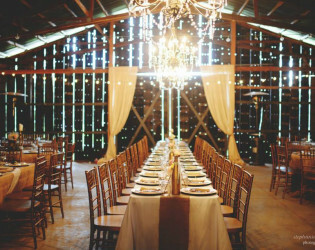 A rustic barn and land in a private setting. 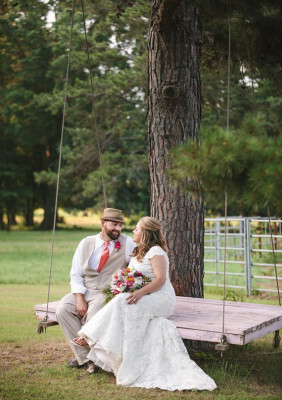 We do not provide your photographer or minister. 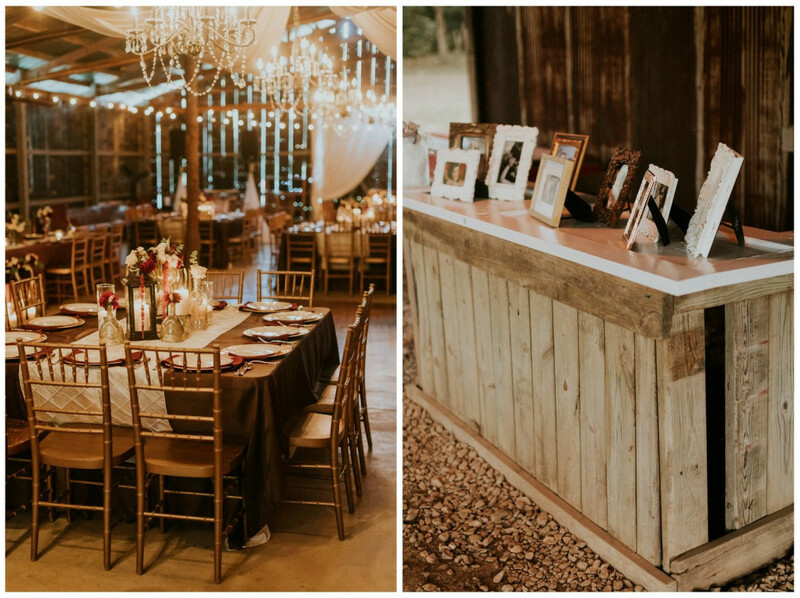 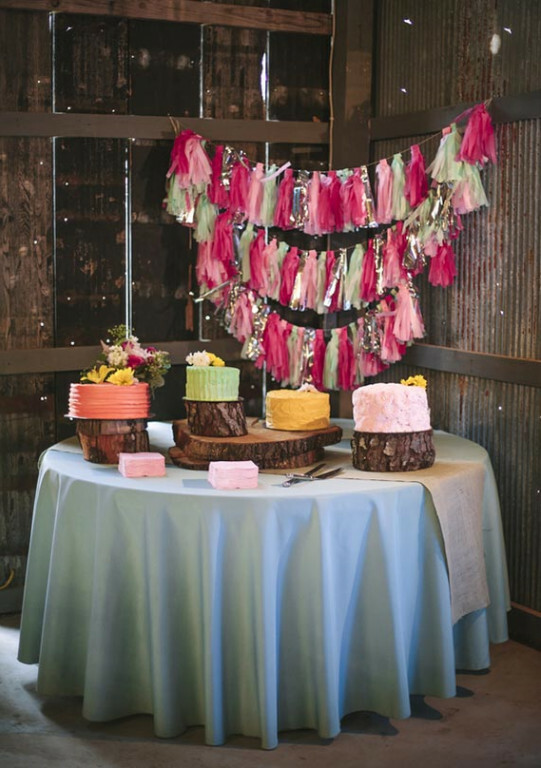 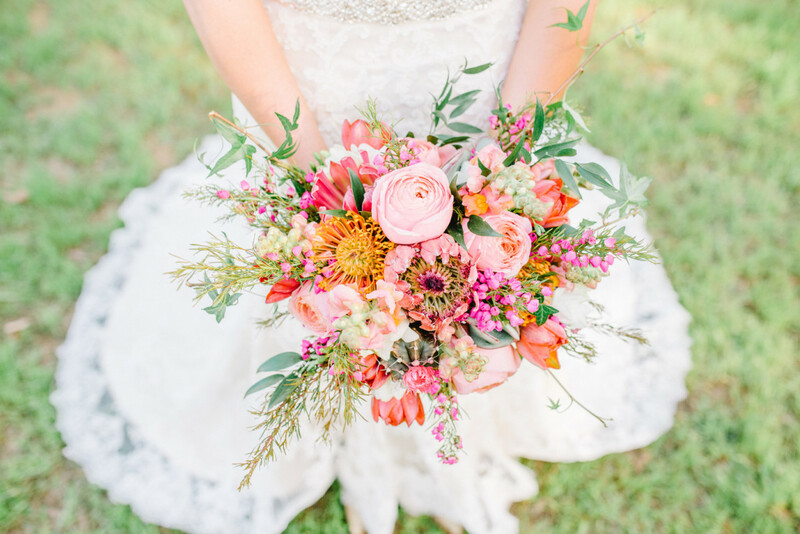 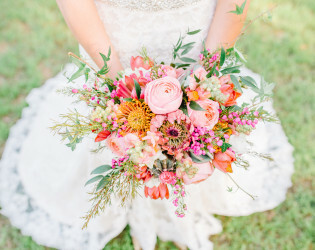 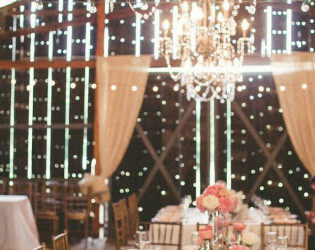 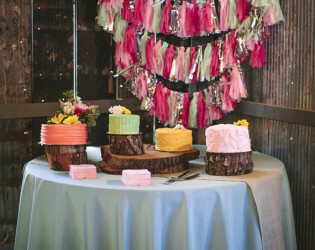 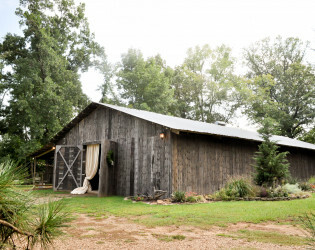 Awards & Notables The Barn at Twin Oaks Ranch has been featured in magazines and blogs all over the country including Southern Weddings, 100 Layer Cake, The Wedding Post, Grace Ormonde Wedding Style, Arkansas Bride and many more! 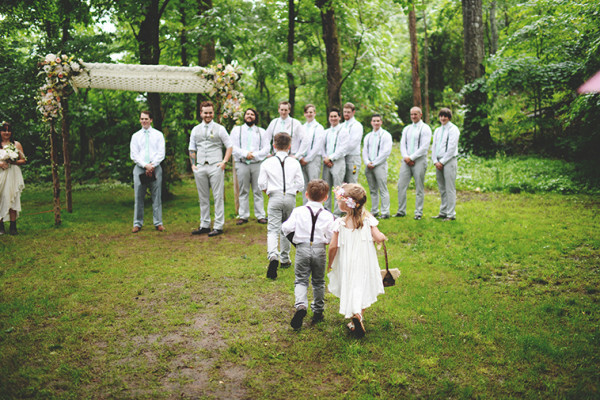 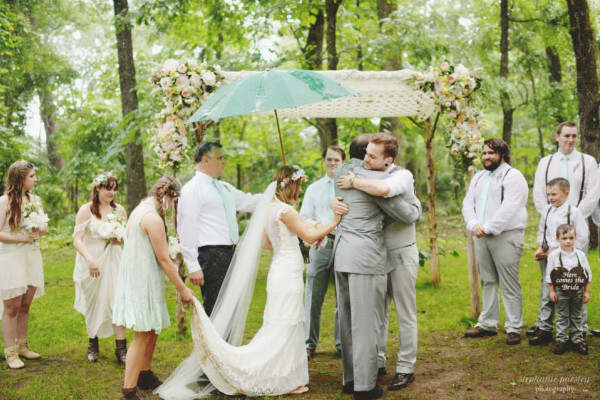 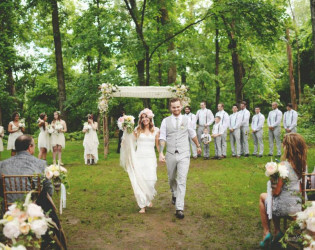 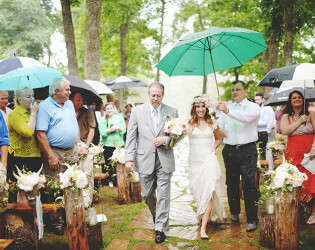 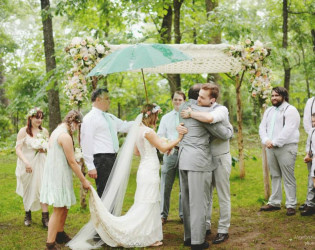 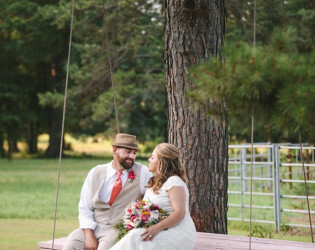 On this particular day the skies wound up being not-so-blue, and part of the charm of this adorable Arkansas wedding at Twin Oaks Ranch is in the way this couple rolled with the droplets of rain that fell during their outdoor ceremony in a grove of trees. 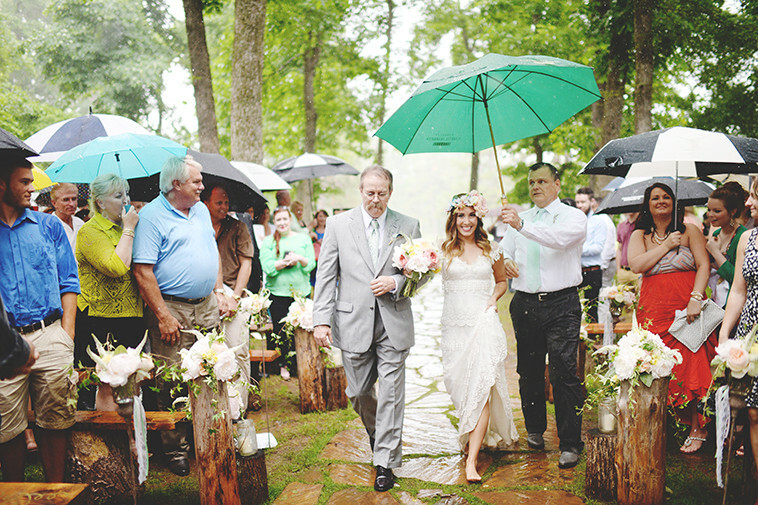 A few umbrellas opened up as this barefoot bride made her way down the cobblestone aisle to meet her groom at the altar for a moment of cheers and joyful tears just before exchanging vows. 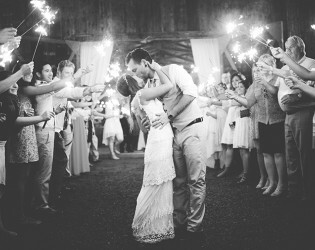 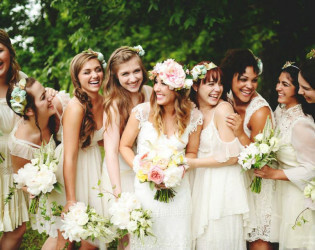 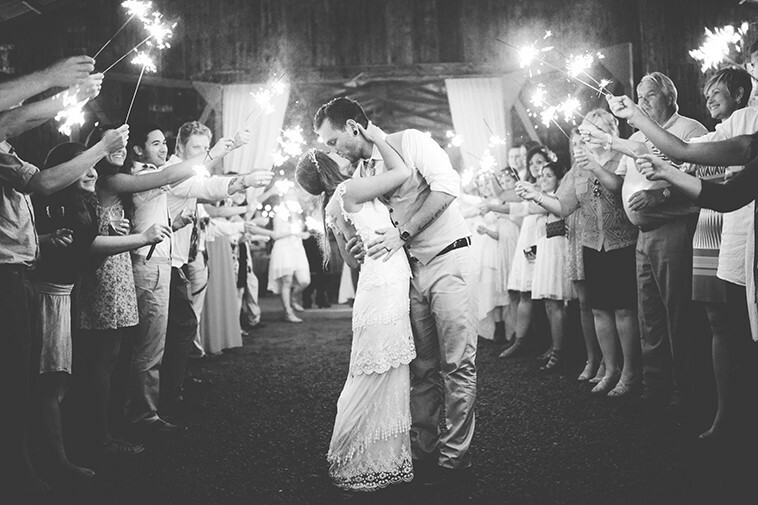 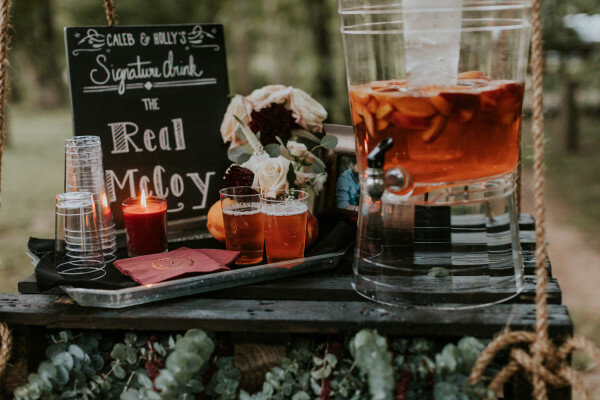 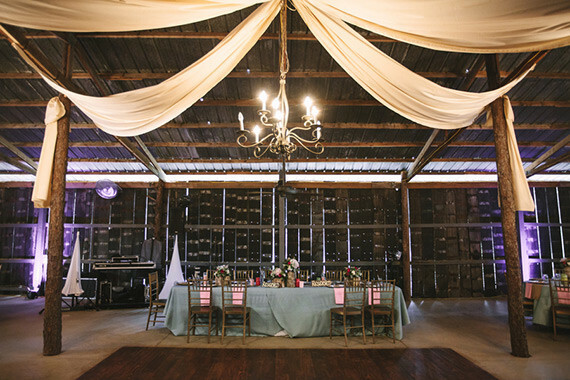 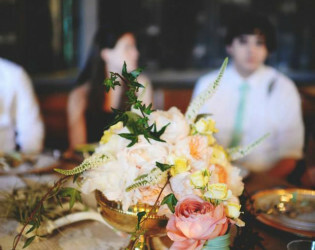 Once inside the property’s rustic old barn, the party really kicked up as the rain settled down. 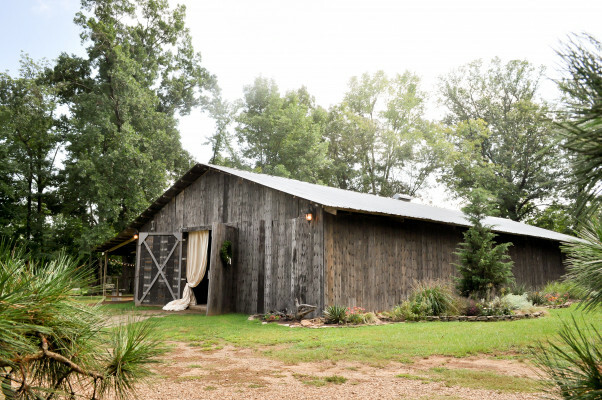 Located totally off the grid, just outside Dardanelle, this high-ceiling wood slatted barn has that perfect outdoor/indoor vibe with a covered patio and enough space for a party of up to 225 folks. 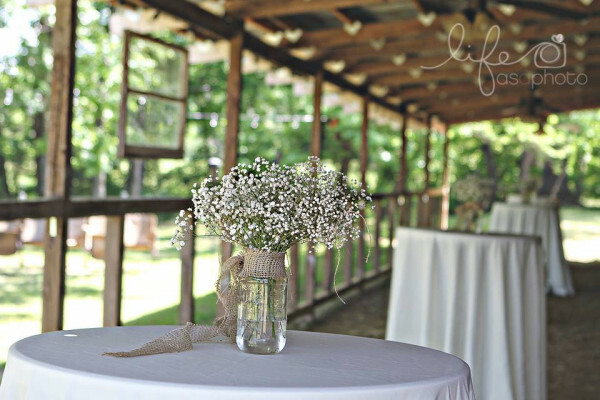 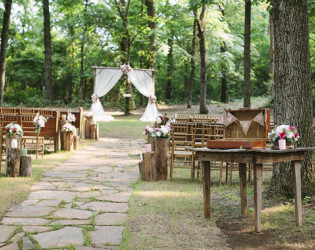 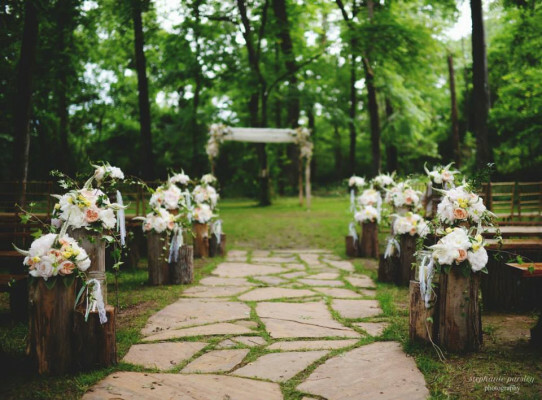 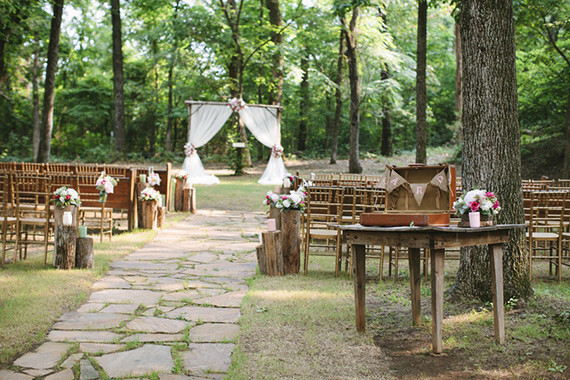 Located just outside of Dardanelle, Arkansas with over 35 acres of gorgeous land for exclusive weddings & events. 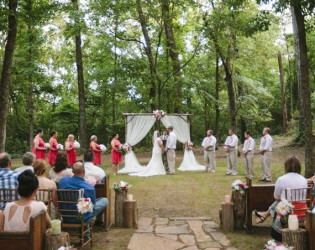 Outdoor ceremony spaces at Twin Oaks Ranch include outdoor log altar beneath a tree grove canopy, appx 4,000 square foot canopy of tall trees and surrounded by natural foliage with an inlaid rock aisle. 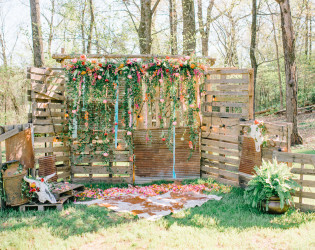 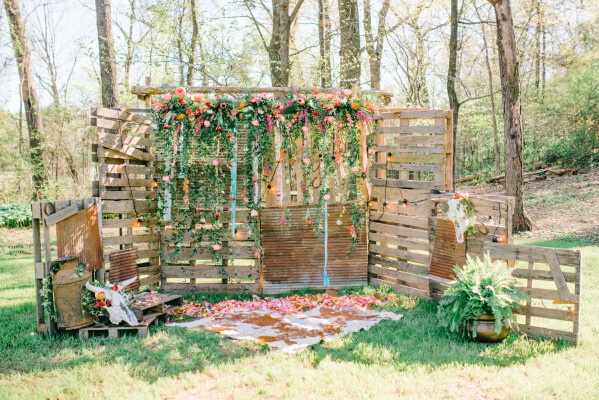 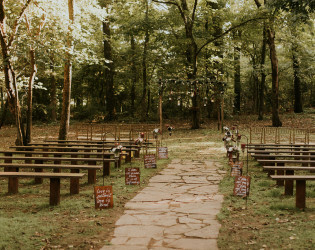 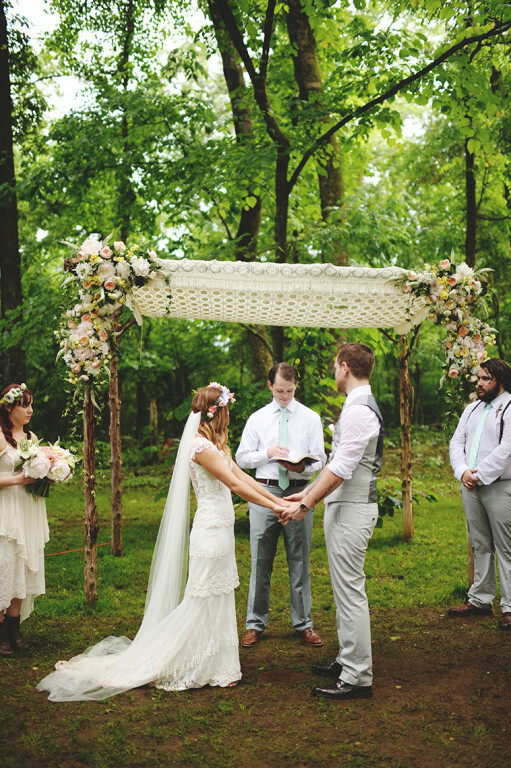 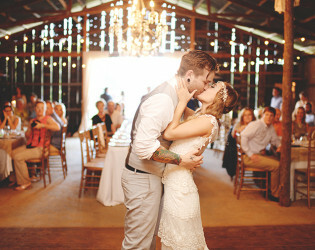 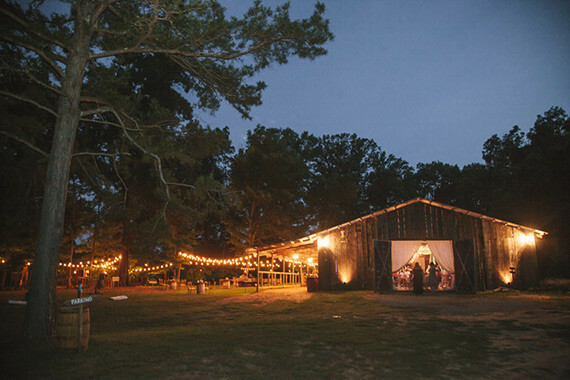 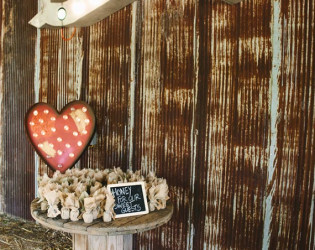 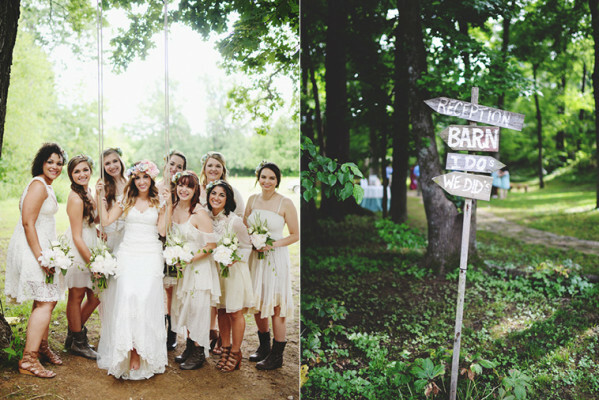 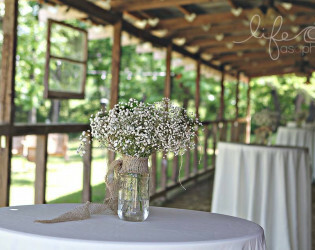 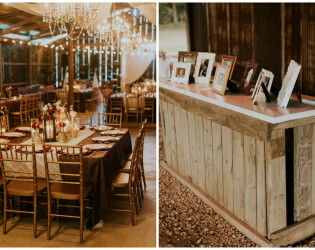 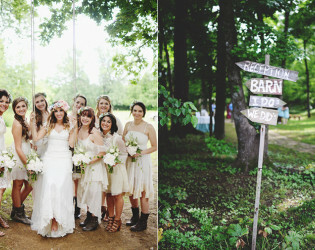 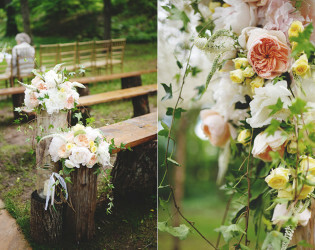 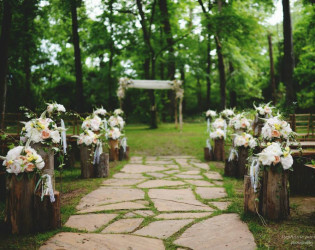 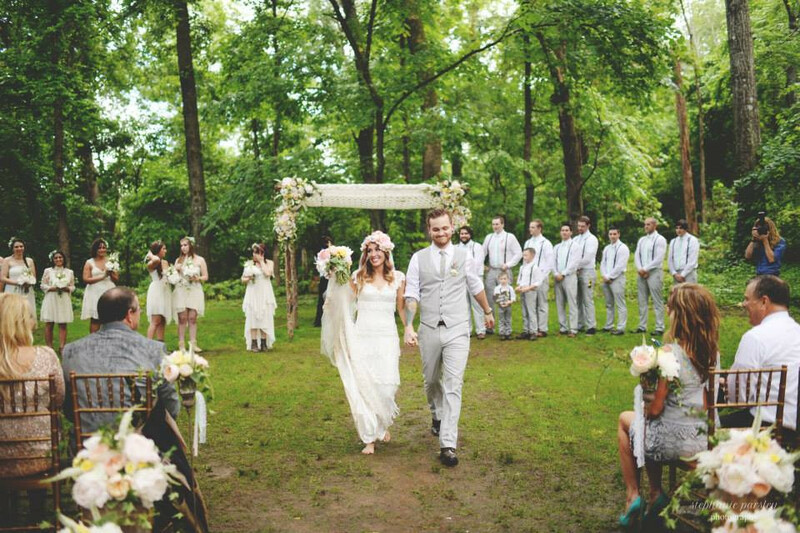 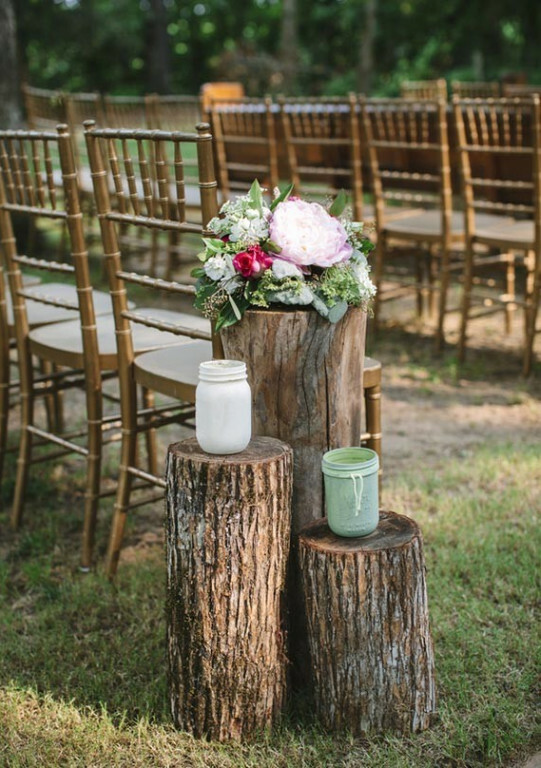 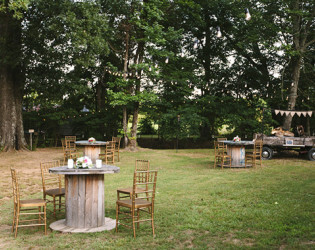 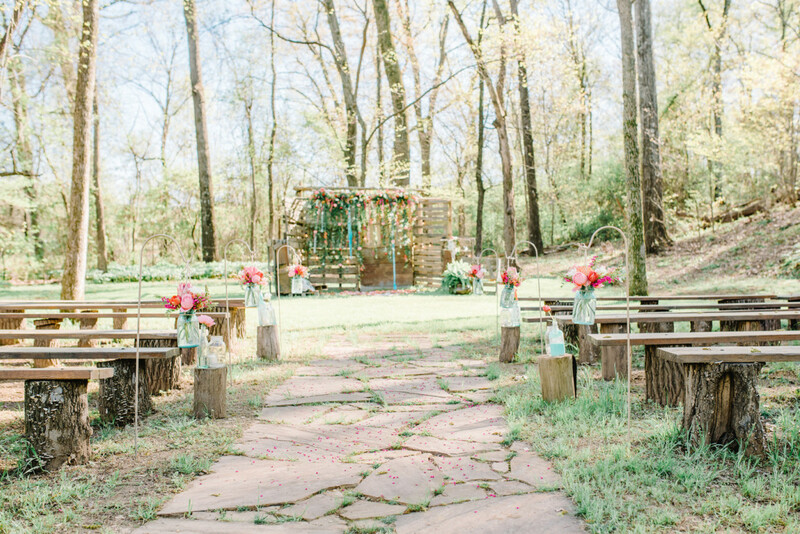 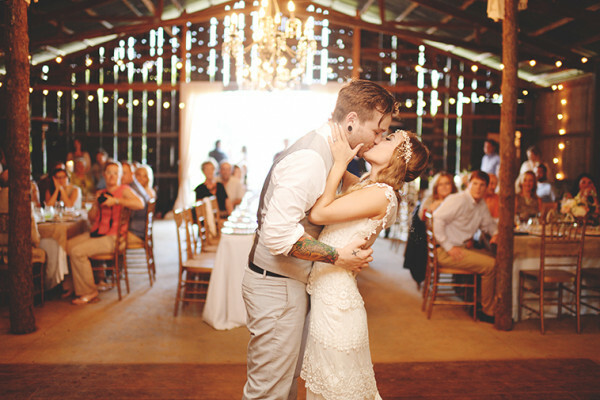 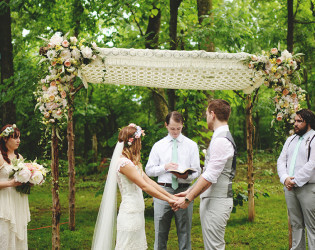 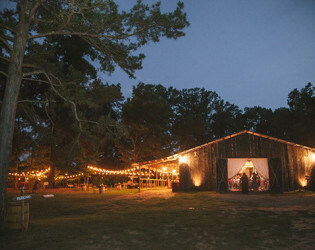 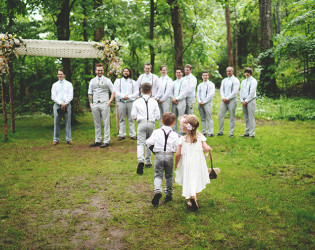 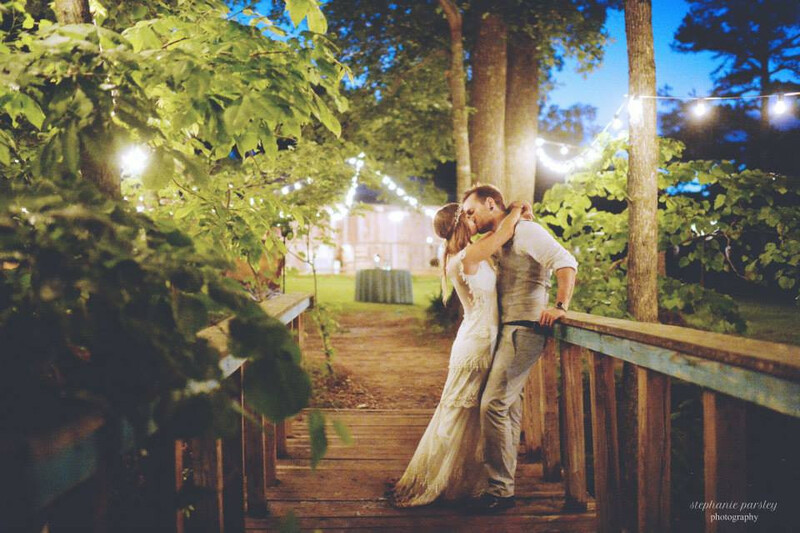 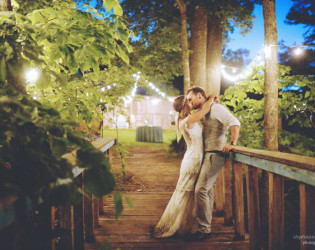 If saying your vows in rustic romance is your dream Twin Oaks Ranch Barn in Arkansas can be used as a ceremony site. 3,600 square-foot Barn with an attached patio.